The RC Dozer Racer is suitable for children aged 3-5 years of age, so at 4 years old Jacob is the perfect age for this toy. 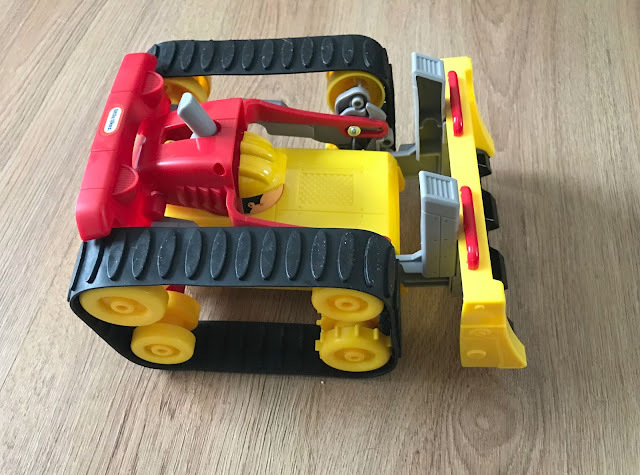 It is a 2-in-1 remote control car which easily changes from being a racing car to a dozer with the flick of a switch on the remote, which amazed my son. It is super simple to use with a few big buttons on the remote that you press to move the car, making it easy for children to play with on their own. 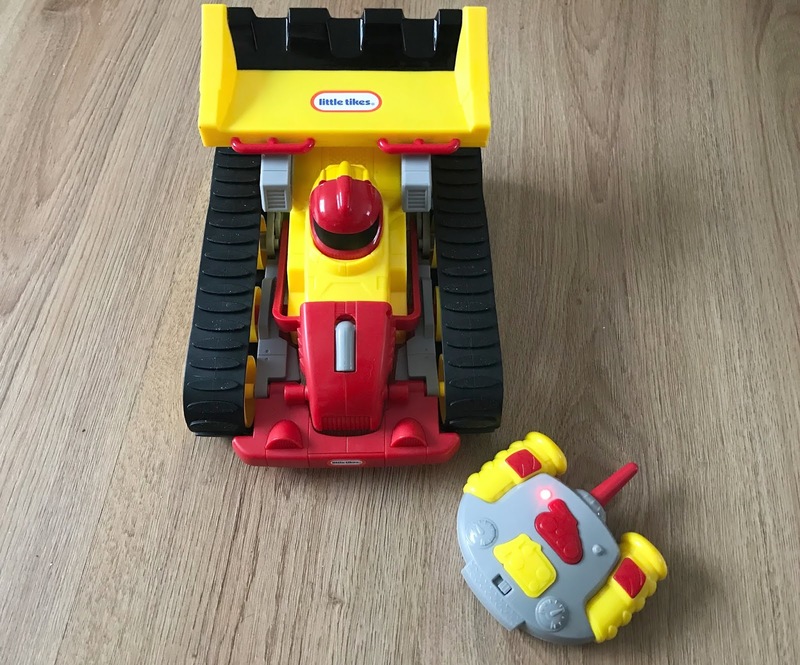 As it is a Little Tikes toy it is quite robust too so you don't need to worry about your child breaking it if they crash it into the sofa or door whilst playing. The car and the remote both need batteries (six AA) before you can play with it, so make sure you have some to hand before you open. 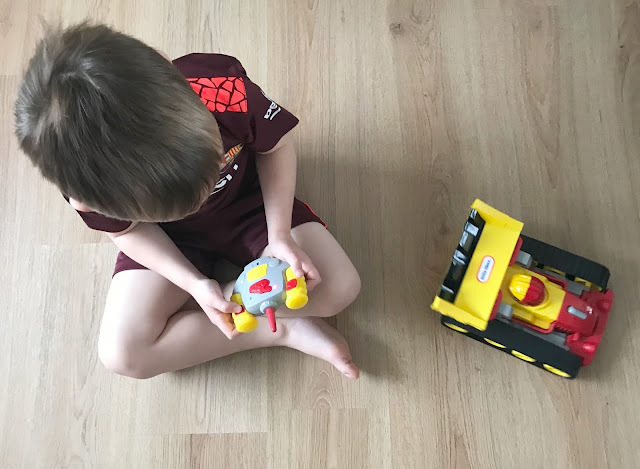 Once the batteries are inserted then the car is ready to play with, the chunky remote control is the perfect size for little hands to hold, with big coloured buttons on which makes things easier for young children. Jacob quickly found out how to make the car move and how to change it from a racer into a dozer and back again without any help from a grown-up. Jacob really likes that you can play with the car as either a racing car or as a dozer, it is like having two separate remote control cars to play with. There is no sharp edges or fiddly bits on the car either which I really liked, it is just a big car with no small parts or things that you can take off or lose (always a plus point). 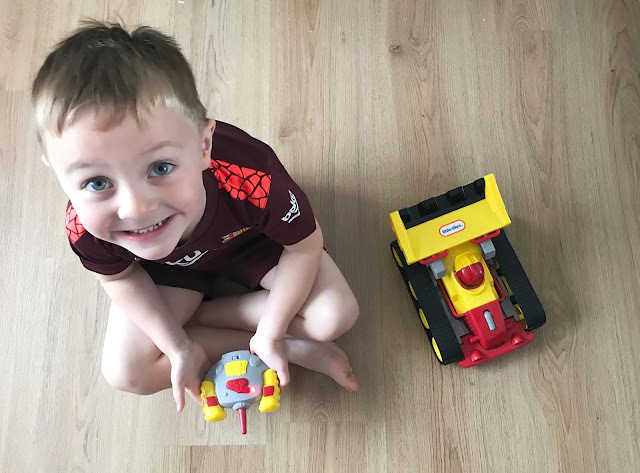 Jacob has had lots of fun playing with his new remote control car and it has provided lots of laughter, fun and amazement for him and his five-year-old sister. There are on/ off switches on both the remote and the control so you can turn them off when not in use. One thing worth noting is to make sure you use good quality batteries as when we first got it we had no batteries and just got some cheap ones from the corner shop and the car stopped working within five minutes, it has been fine since using better quality batteries though. I think this toy would make a great Christmas gift idea for a 3-5-year-old, it is fun and is something different to regular remote control cars. 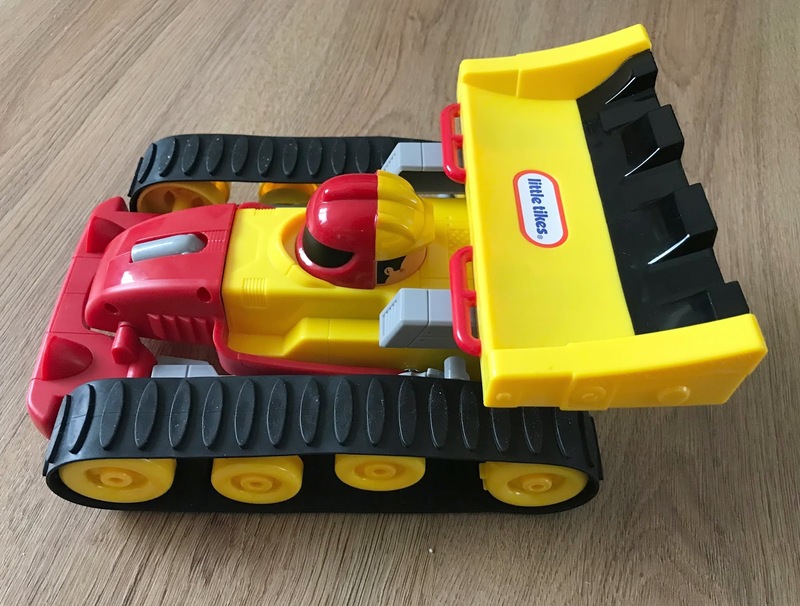 Both my son and daughter enjoy playing with it and really like the fact it changes from a racing car to a dozer with the press of a button. Little Tikes RC Dozer Racer remote control car is available to buy from leading toy retailers now for £34.99. Disclosure we were sent this toy for the purpose of this review, however all opinions are my own. A remote control car - surely that must be every little one's dream?? Little Tikes are such a sturdy make, too.